An appellate court in New York recently decided a case that serves as yet another reminder to be careful when sending an email. In Forcelli v. Gelco Corp., 109 A.D.3d 244 (2d Dep’t 2013), the Appellate Division, Second Department, held that an email message satisfied the statutory criteria for a binding and enforceable stipulation of settlement. While it is not surprising that parties can form a contract by email, it is somewhat surprising that the court here held that, under the facts of this case, an email constituted a stipulation of settlement in the absence of a handwritten signature. In Forcelli, a personal injury action arising out of a multi-party automobile accident, the plaintiff’s attorney and the insurance adjuster reached an agreement regarding settlement following an unsuccessful mediation involving all the parties. After agreeing on the amount of the settlement, the adjuster sent an email to plaintiff’s attorney, confirming that the plaintiff’s attorney accepted the adjuster’s offer of $230,000 during their telephone conversation, and further noting that the parties agreed that the plaintiff’s attorney would have his client sign the medicaid form and a general release and stipulation of discontinuance. The next day, the plaintiff signed the release, but before it was forwarded to the insurance adjuster, the trial court granted the defendants’ motion for summary judgment, which resulted in the dismissal of the plaintiff’s complaint. When the defense attorney learned that the settlement papers had been received by the insurance adjuster, the defense attorney sent a letter to the plaintiff’s attorney rejecting the settlement papers, claiming that there was no settlement consummated between the parties in accordance with the statutory requirements for stipulations of settlement. Thereafter, the plaintiff’s attorney filed a motion, seeking to vacate the summary judgment order of dismissal. That motion was granted, resulting in this appeal. Where a settlement is not made in open court, the civil practice law and rules provide that a settlement agreement will not be binding “unless it is in a writing subscribed by [the party] or his attorney.” Also, since settlement agreements are subject to the principles of contract law, all material terms must be set forth and there must be a manifestation of mutual assent in order for the agreement to be enforceable. [W]here, as here, an email message contains all material terms of a settlement and a manifestation of mutual accord, and the party to be charged, or his or her agent, types his or her name under circumstances manifesting an intent that the name be treated as a signature, such an email message may be deemed a subscribed writing within he meaning of [the civil practice law and rules] so as to constitute an enforceable agreement. 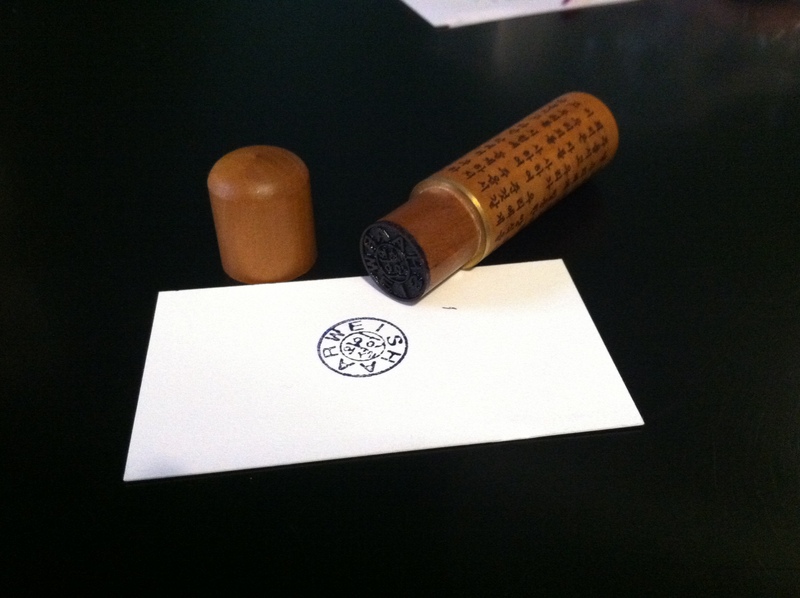 As I read about this case, I couldn’t help but wonder how far we’ve come from the days of wax seals. Now, you do not even need an actual hand-written signature for a subscribed writing. But, I still like the custom-made dojang that my wife brought me back from her trip to Korea last summer. These are “seals” often affixed to official documents in Korea. If you look closely in the picture above, you can see my name carved in the seal, along with what I believe to be my name written in Hangul. Too bad I won’t need it to confirm any stipulations of settlement. 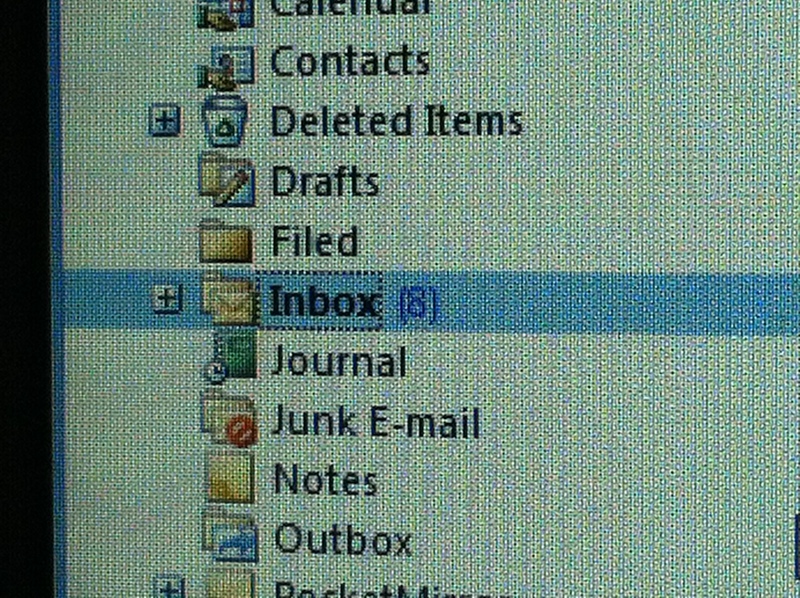 Do You Have Reasonable Expectation of Privacy When Using Work E-mail? Maybe not. Unfortunately for a former Aeropostale executive, the United States District Court for the Eastern District of New York recently held that he did not have any reasonable expectation of privacy in an e-mail he received from his private attorney at his work address. The case of United States v. Finazzo highlights the risks inherent in using your employer’s e-mail for personal communications–especially when those communications would otherwise be privileged. In this case, the e-mail at issue ultimately lead to the employee’s termination, and subsequent prosecution. Mr. Finazzo–a former executive at clothing retailer Aeropostale–was charged with a fraudulent scheme in which he allegedly received kickbacks from certain transactions between Aeropostale and South Bay Apparel, Inc., a clothing vendor controlled by another individual (Douglas Dey). Although the indictment alleges that the scheme began in 1996, Aeropostale apparently did not discover it until 2006, while undertaking an unrelated forensic investigation. During the investigation, an e-mail from Mr. Finazzo’s personal attorney was discovered in his work e-mail account. In the e-mail, Mr. Finazzo’s attorney asked him to review an attached asset list, and confirm the values of various assets for the purposes of creating a will. Among the assets listed were several companies co-owned with Mr. Dey, including South Bay Apparrel, a company that served as a primary vendor of Aeropostale merchandise. Upon learning that Mr. Finazzo had undisclosed ownership interests in companies owned by one of Aeorpostale’s primary vendors, Aeorpostale decided to terminate Mr. Finazzo for cause. This case came to be decided because Mr. Finazzo was asking the court for an order precluding the government from introducing the e-mail (and anything derived from the email) at trial. Ultimately, the court denied Mr. Finazzo’s motion. The court’s decision turned on whether Mr. Finazzo had a reasonable expectation of privacy in his work e-mail account. Under the facts of this case, the court held that he did not. In rendering its decision, the court noted that it had before it several versions of Aeropostale’s policies governing its employees’ use of company e-mail dating back as early as 1999. Although each policy had slight variations, and in some cases even permitted incidental personal use, they all stated that the employee “should have no expectation of privacy when using Company Systems.” The policies also reserved a right by the company to monitor, access, delete or disclose employees’ e-mails at any time without further permission. Additionally, in each case, Mr. Finazzo also signed receipts, acknowledging that he had read and understood the policies. Mr. Finazzo also did not simply delete the allegedly confidential e-mail. He admitted that after he received it, he forwarded it to his personal, non-Aeropostale e-mail account before he deleted it. Thus, after he received the e-mail and recognized it as confidential, “he then turned around and sent it back through Aeropostale’s e-mail servers to another account. ” In so doing, he allowed Aeropostale another opportunity to see the e-mail. Thus, according to the court, “even if Finazzo were correct that his ‘mere receipt’ creates some legally cognizable distinction, such would be unsupported by his own record.” Mr. Finazzo both sent and received the privileged e-mail.